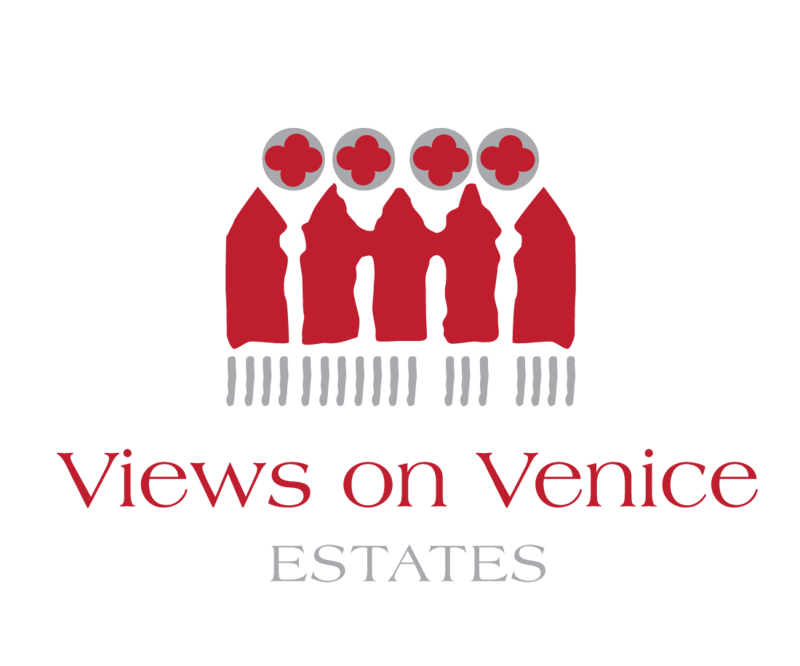 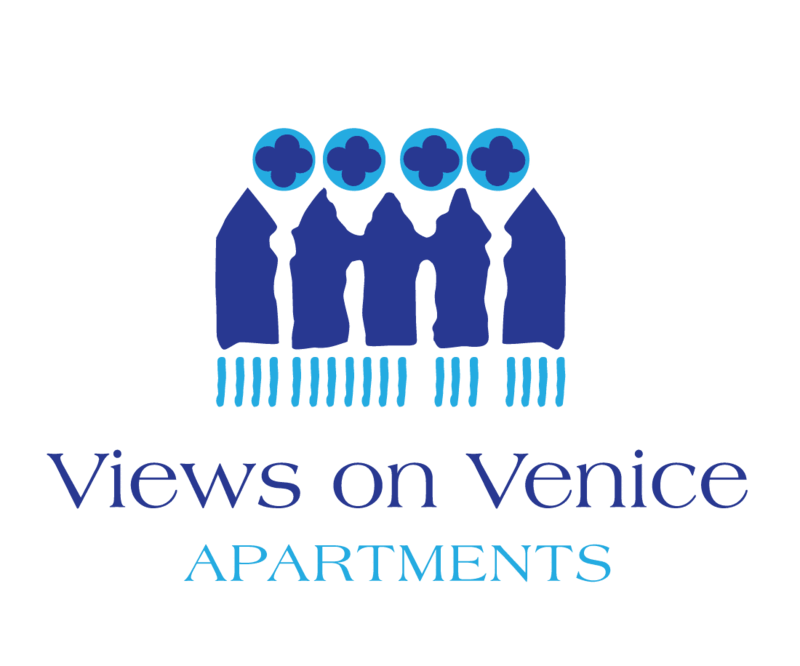 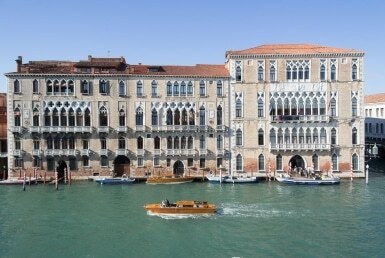 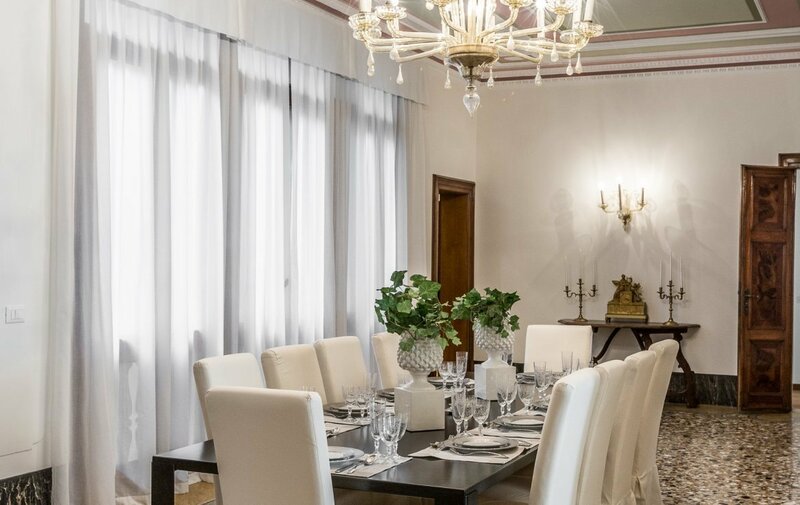 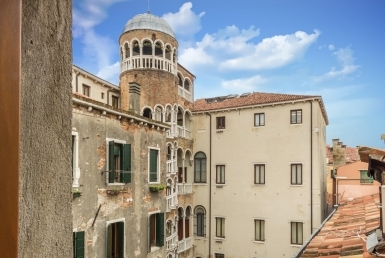 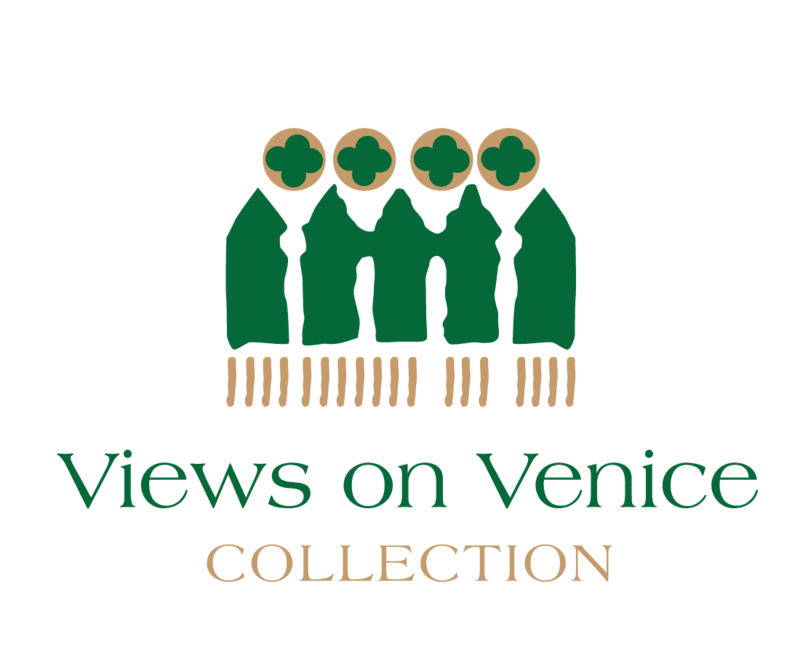 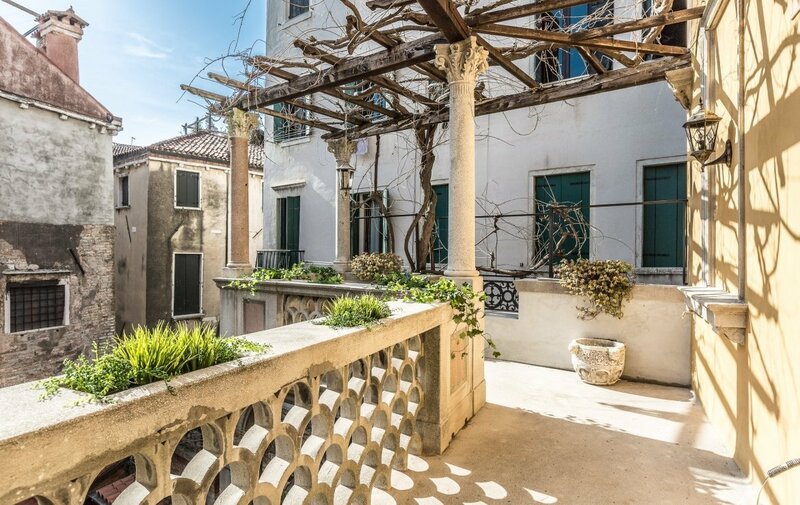 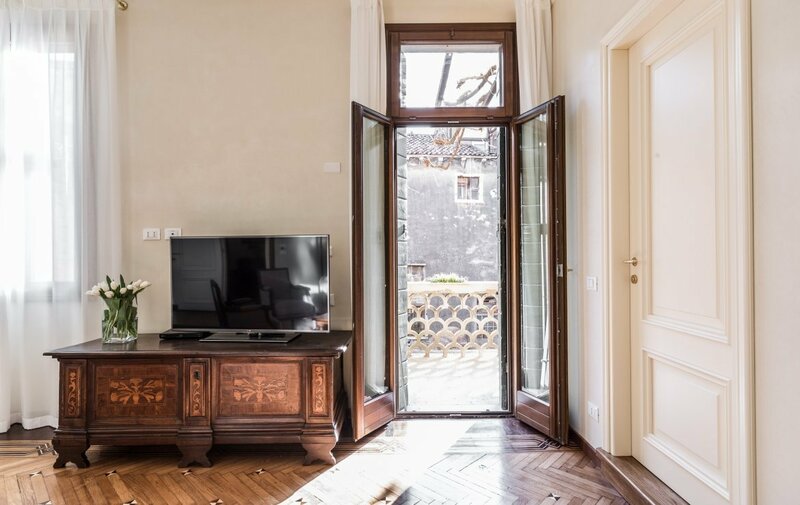 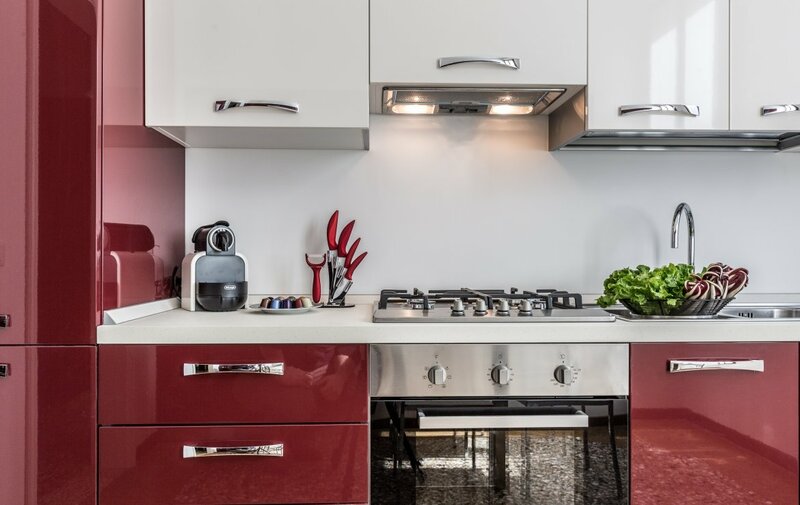 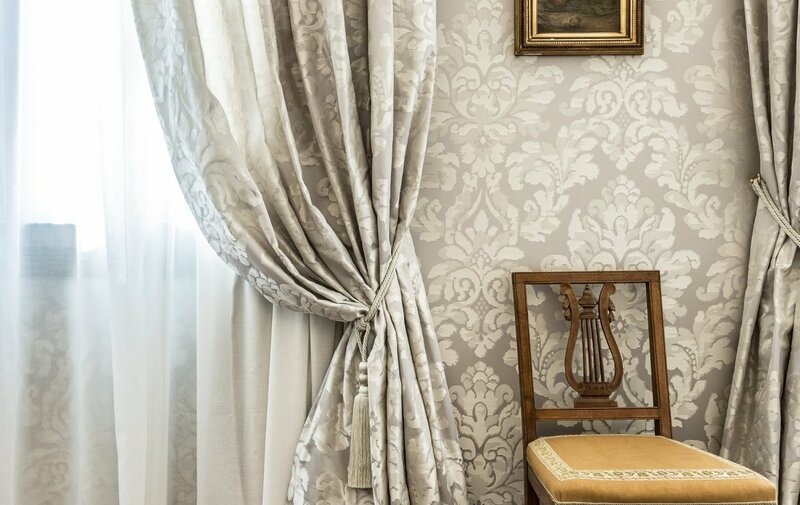 Spacious, elegant and refined second floor apartment, situated in a tranquil area of Venice, with a beautiful view of a canal. 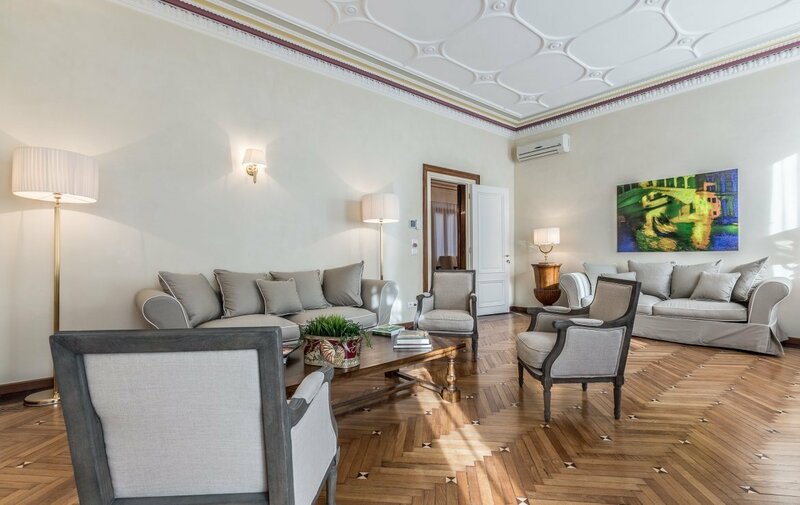 The property has been recently restored with great attention to detail and luxurious finishings. 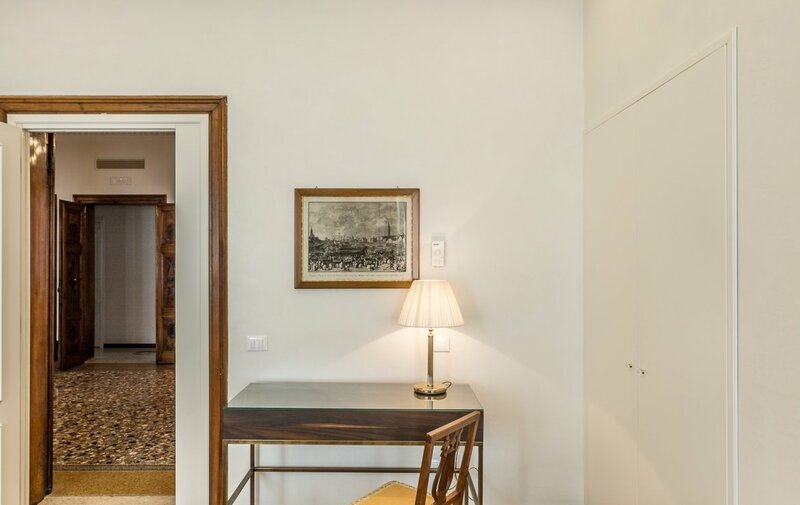 The apartment, which includes all modern comforts, is spacious and well lit and can be acquired either furbished, partially furbished or empty. 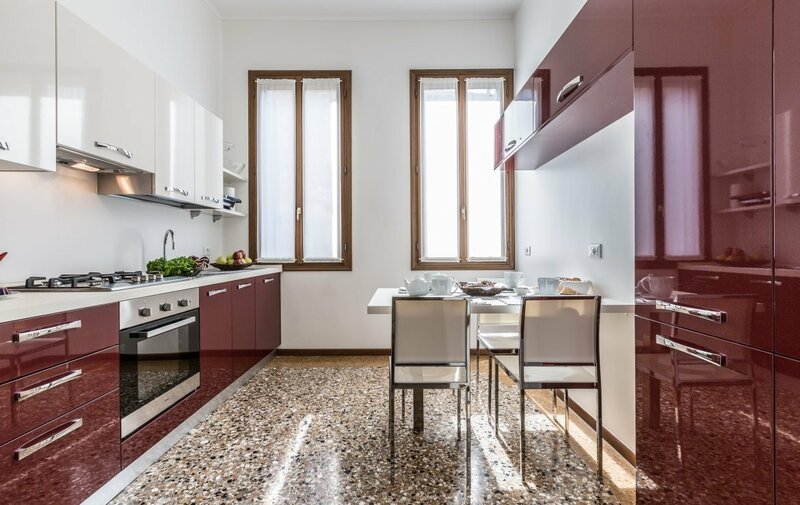 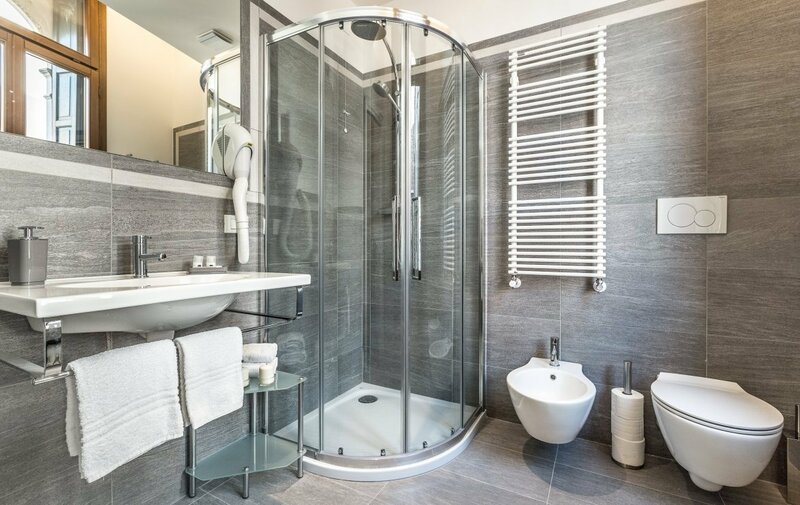 The property is also connected to an approved project for the construction of an elevator. 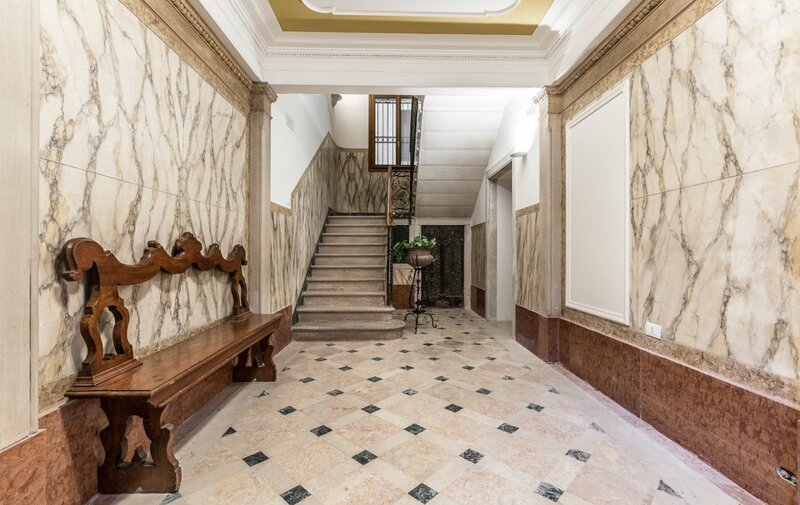 Entrance, stairs and communal areas are elegant and well-kept. 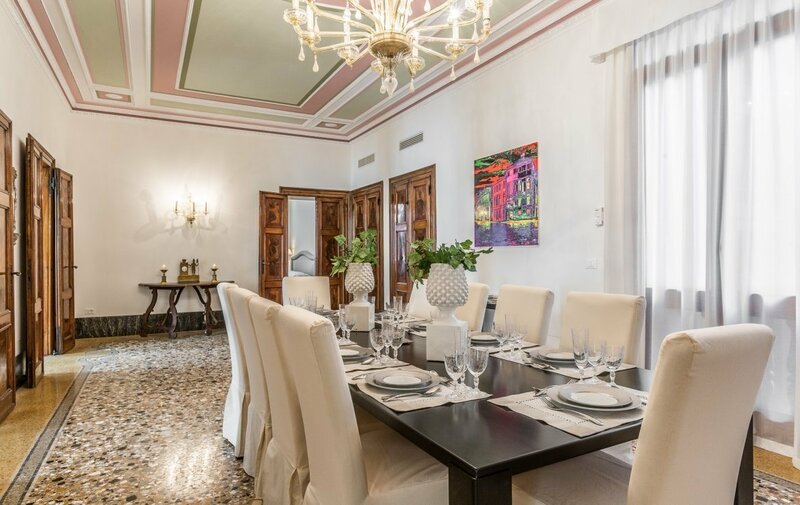 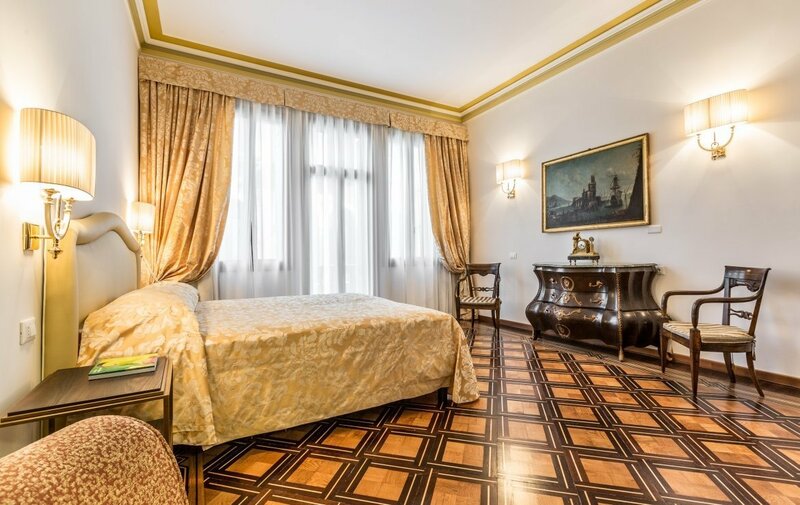 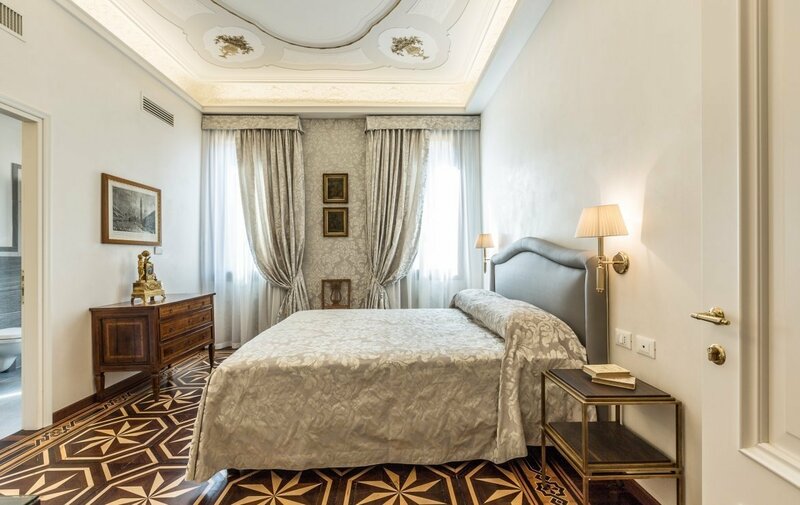 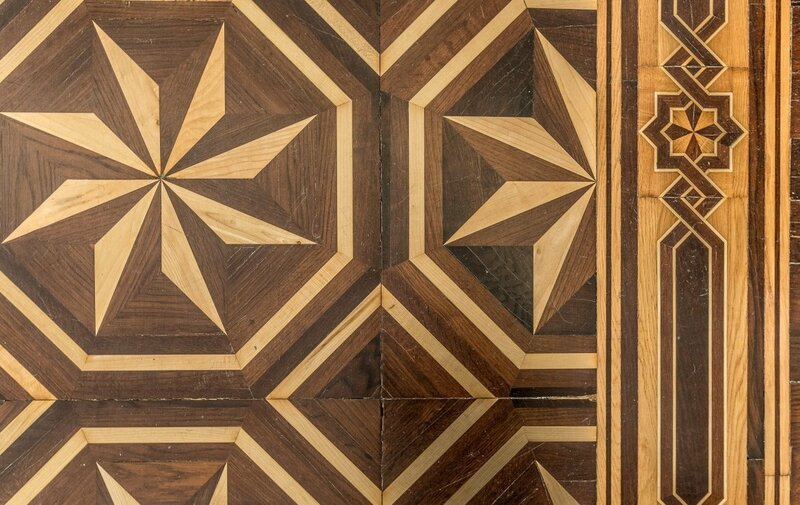 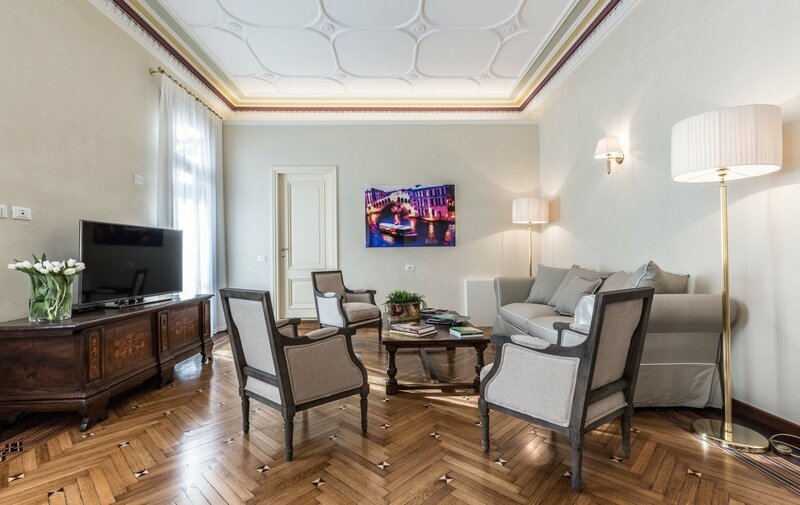 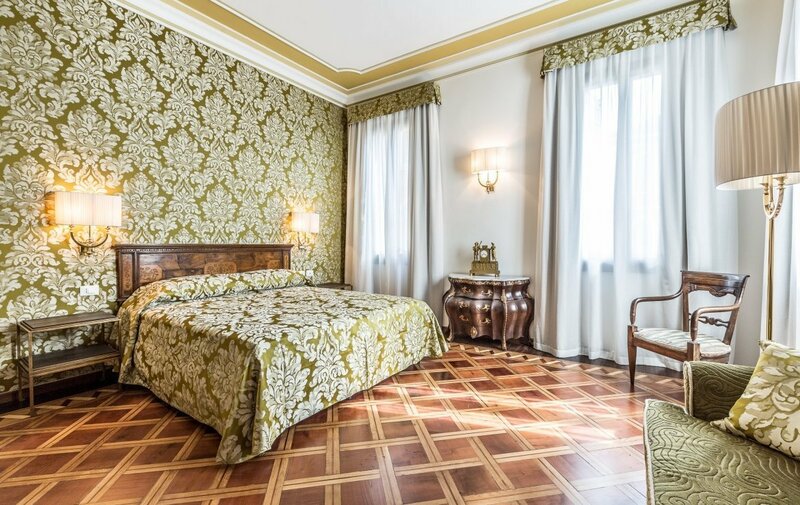 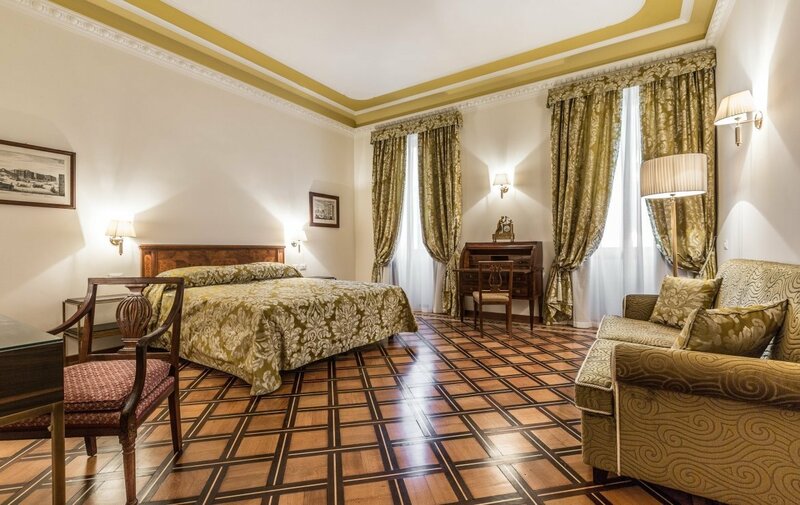 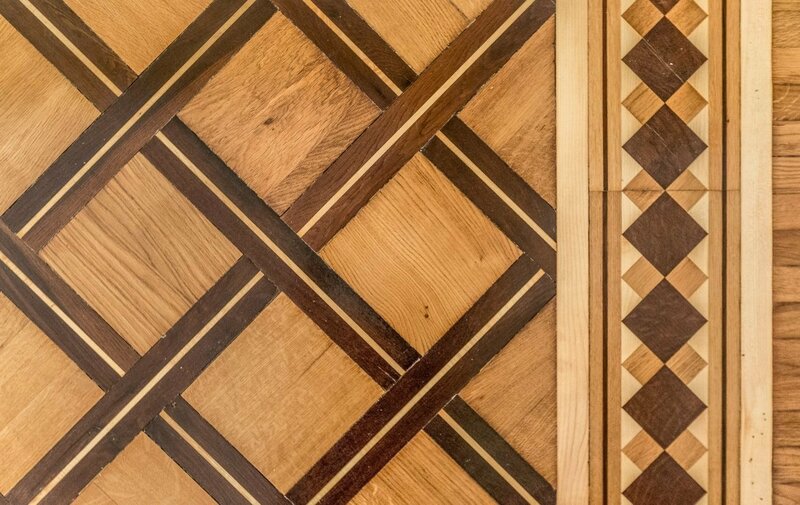 The property has Five large rooms decorated with prestigious fabrics and wonderful floorings in Venetian paving and intricate parquet. 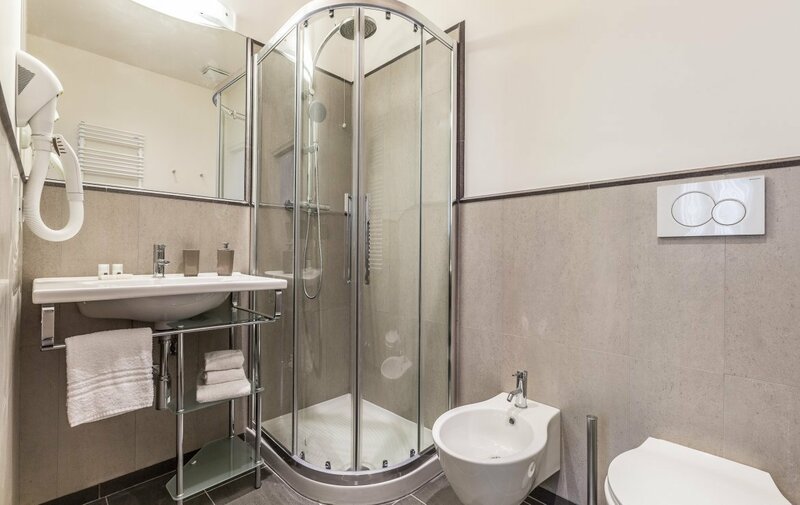 The bedrooms have bathrooms adjacent, either with Showers or Bathtubs. 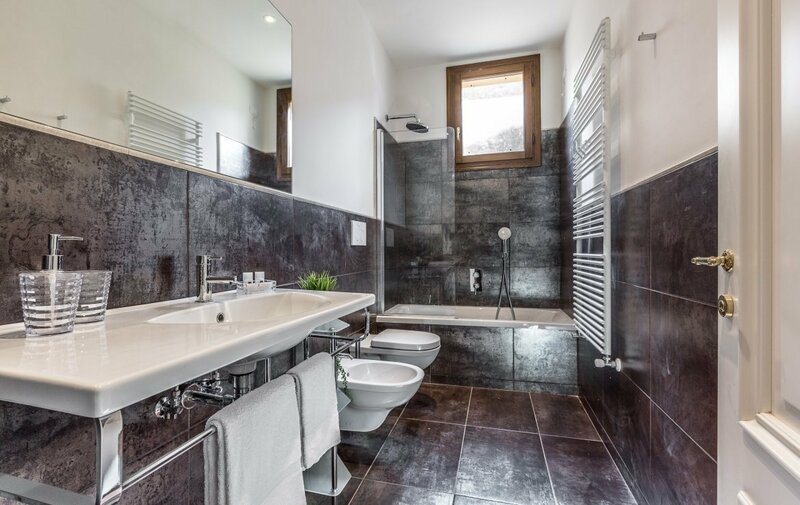 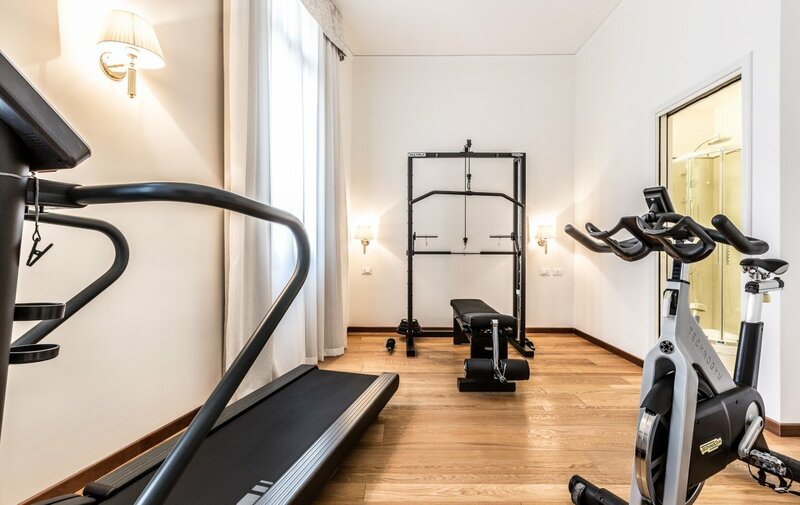 The property also boasts a small personal gym, with modern equipment and a changing room. 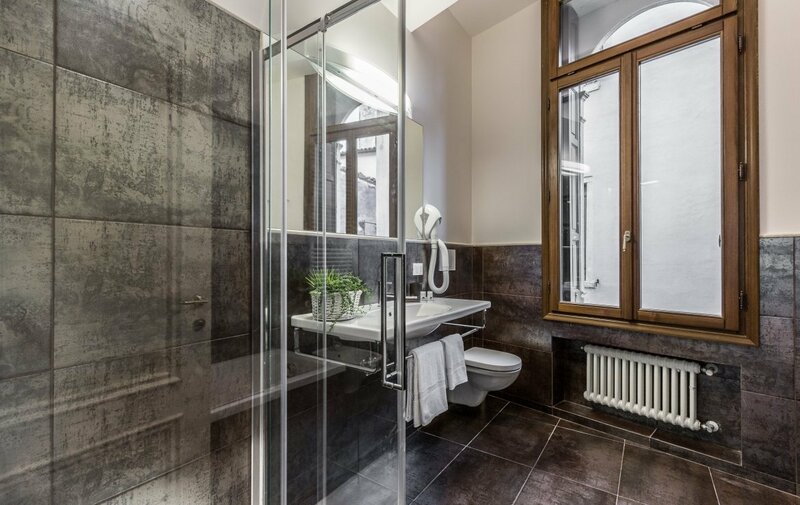 There is also a washing room on the ground floor. 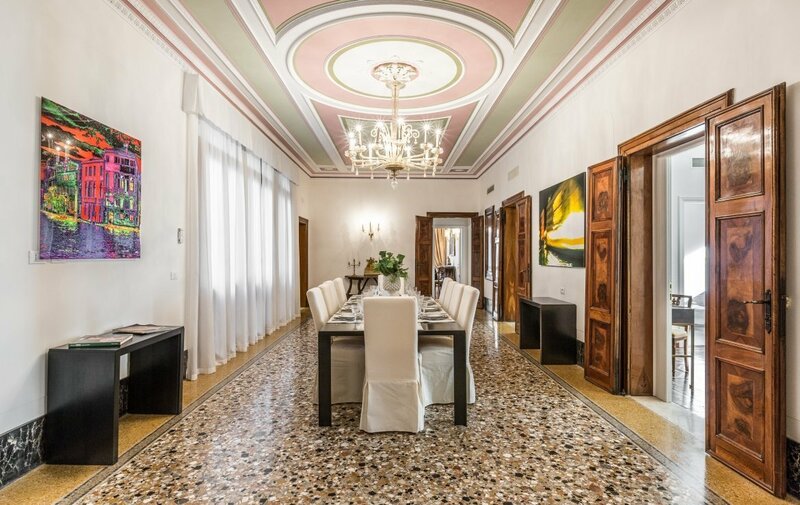 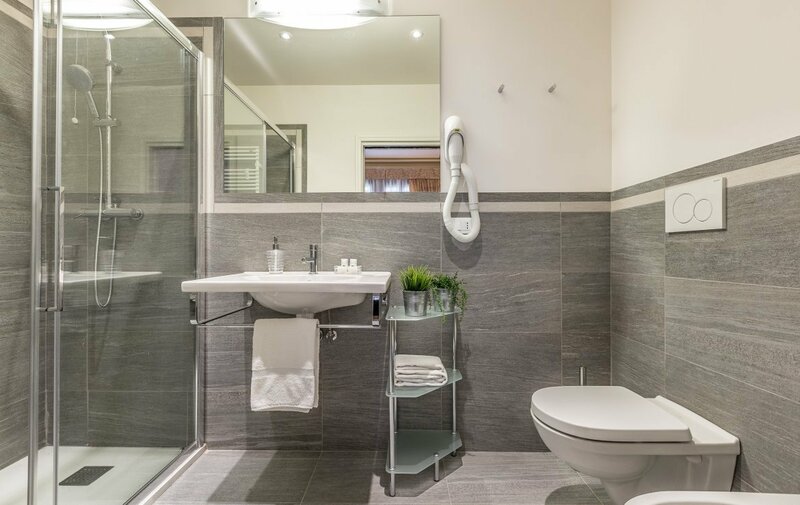 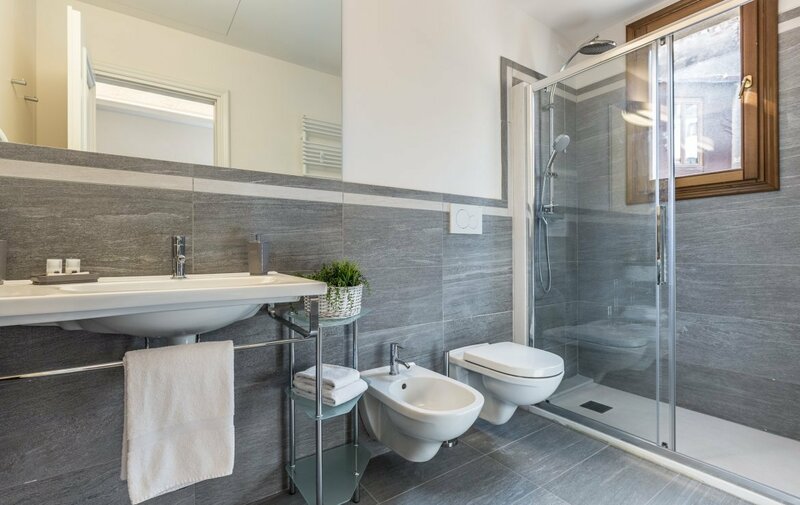 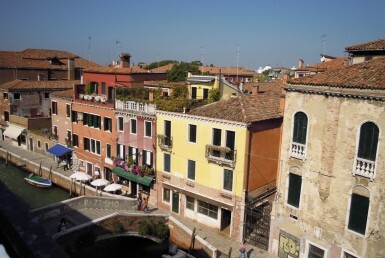 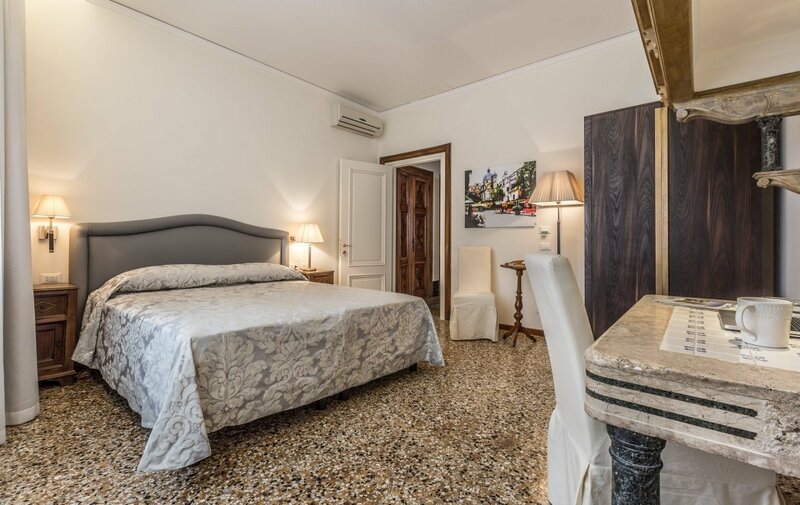 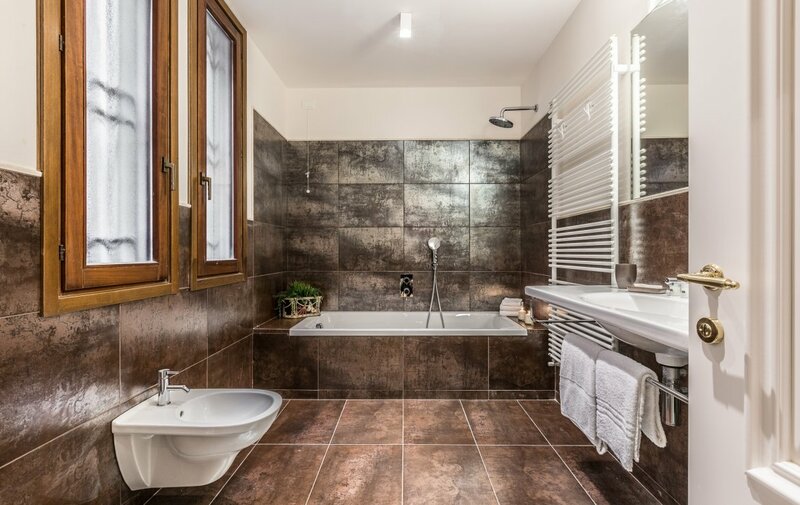 The property is situated in a tranquil Venetian area, well connected and well supplied with shops of all kinds and typical restaurants near by. 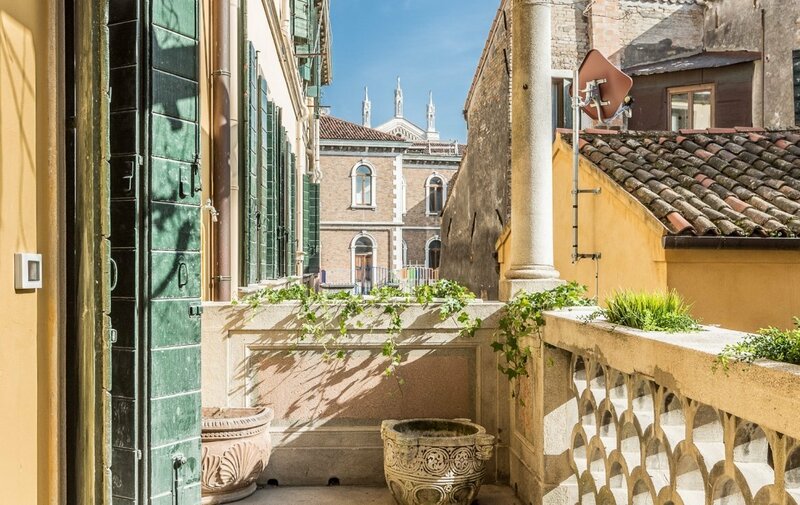 In the area we can find the majestic church of Santa Maria dei Miracoli, jewel of the Venetian renaissance period and the Gothic basilica of SS Giovanni and Paolo .